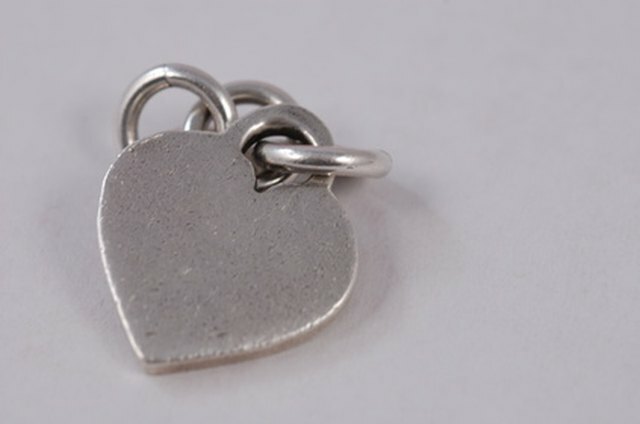 Silver is a metal that requires ongoing cleaning so it does not lose its original luster. Simple exposure to air can cause it to tarnish because of the natural oxidation process with sulfides in the air. 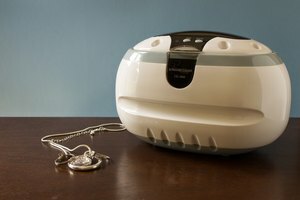 There are several products you can buy to help clean your jewelry but often they can be expensive. 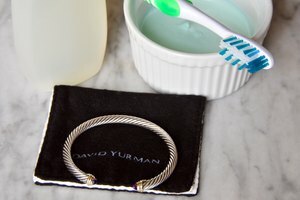 In the case where you do not want to spend money on jewelry cleaners that do not guarantee proper results, there are several safer home remedies to clean sterling silver. 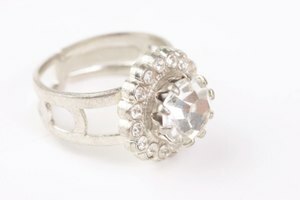 The Society of American Silversmiths recommends cleaning lightly tarnished silver with vinegar-based glass cleaner or hand sanitizer that does not have aloe as an ingredient. Soak a cotton ball with the product and rub the silver gently, rotating the cotton ball as you go. Rinse and wipe dry with a clean cotton towel. Soak your sterling silver jewelry in a small amount of ketchup over night. In the morning, remove it from the ketchup and rinse in hot water. Buff it to a shine with a soft cloth. The most effective method to clean silver is to use baking soda. Line a pan or dish with aluminum foil. Make sure the pan is not made of stainless steel because stainless steel has a negative effect on sterling silver that can result in permanent damages to your jewelry. Place the items in the pan and cover them in baking soda. Pour boiling water into the pan to cover the silver and allow it to sit in the water for a couple of minutes. When it is cool enough, pull out the silver and rub gently with your fingers. Polish the silver with a clean cloth in a lengthwise motion. Use a couple of drops of mild liquid detergent such as baby shampoo in a cup of warm water. 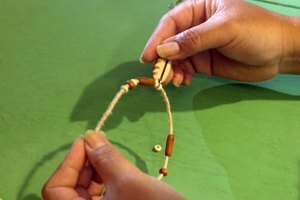 Leave the jewelry in the water for no longer than five minutes and rinse thoroughly with clean water. Dry it completely and polish with a clean cotton cloth. Place the silver item into a bowl and cover it with any type of milk. Allow the silver to soak for 10 to 20 minutes. Rinse with warm water and buff to shine with a clean cloth.